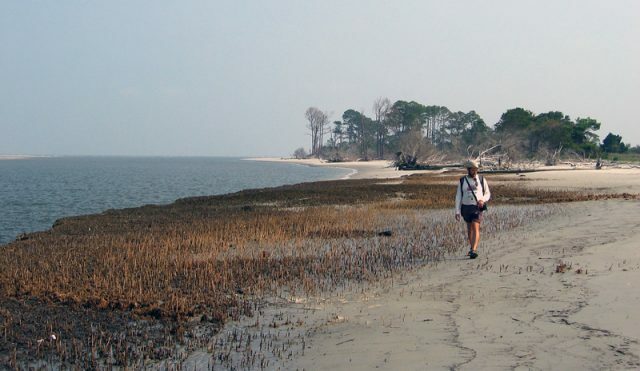 The state of Georgia has a very short coastline compared to most other oceanfront states in the United States. 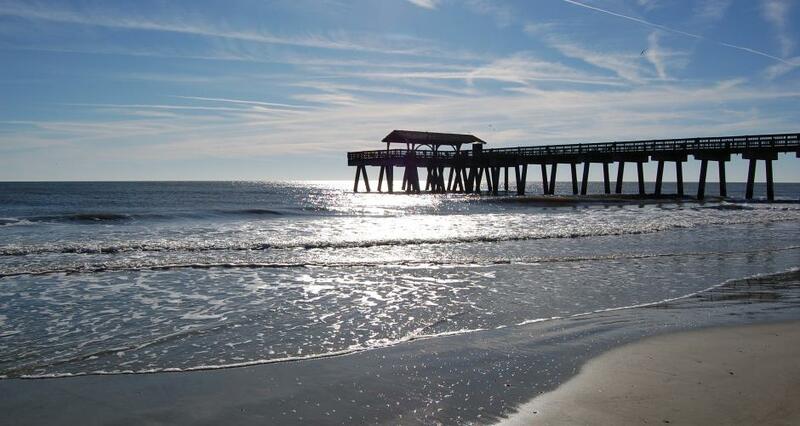 Considering this, we have enlisted a few of the most beautiful beaches in Georgia by the Atlantic Ocean to visit. 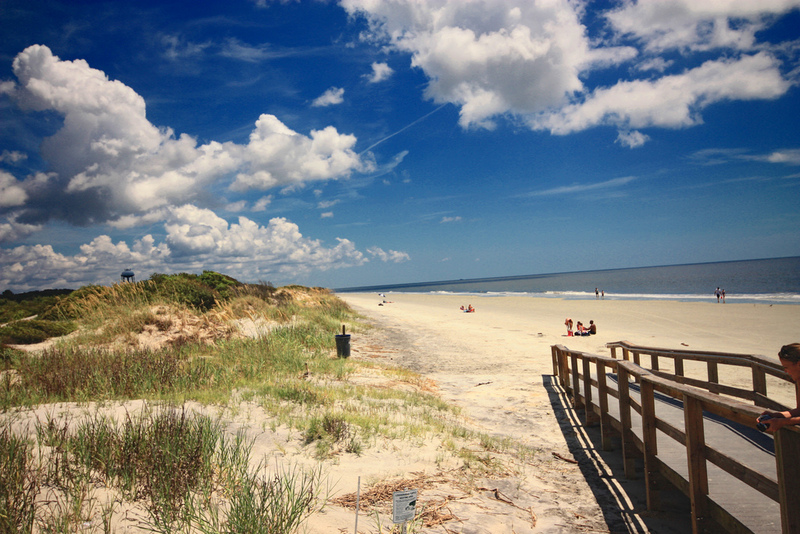 The popular public beach in the St. Simon’s Island is located just off the coast from Brunswick. The city is connected to the island by a causeway. This relatively quiet island is quite family-friendly, even if you have small kids, giving you a choice for swimming, water sports, or even bike-riding. This is quite a warm, romantic spot where you can indulge yourself in activities like bird-watching or spending a whole day with your loved one. 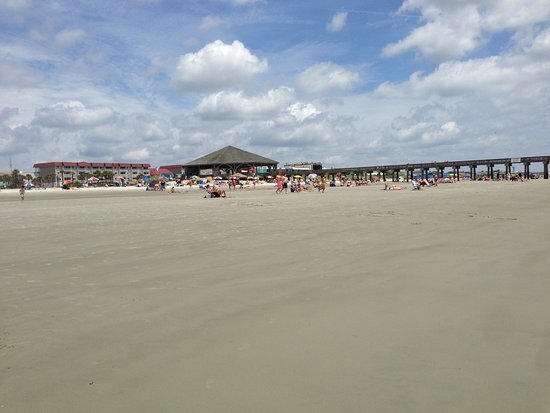 The beach also has oceanfront restrooms and showers. 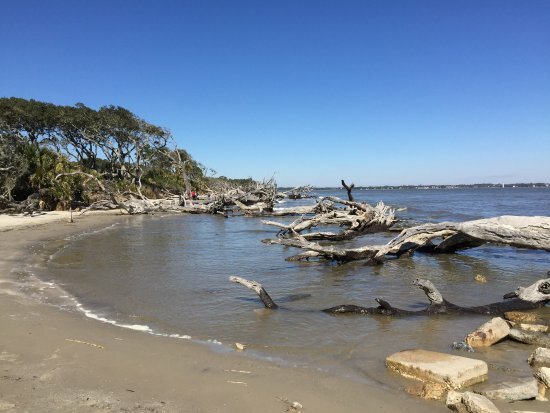 However, if you want an even quieter, more secluded atmosphere, there is the private Little St. Simon’s Island Beach right in this area. The associated lodge accommodates 32 guests at a time. 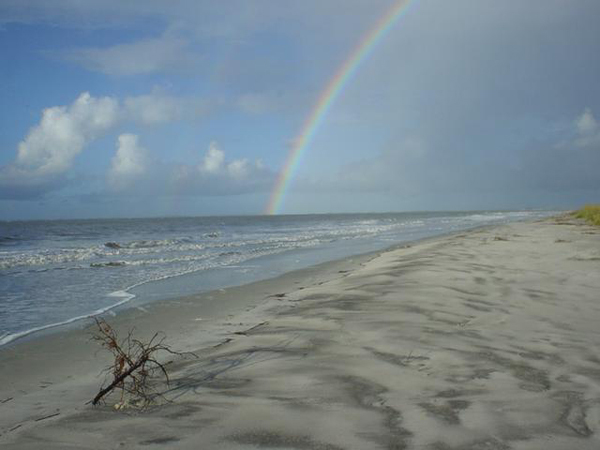 You can enjoy swimming and sunbathing and go for a naturalist-guided turtle beach walk and other excursions. The island is well-connected with the top cities of the state. It would take approximately 4 hr. 30 min. from Atlanta, around 3 hr. 30 min. from Augusta and Macon, and 5 hr. from Acworth to reach the site. Interestingly, this is one of the top beaches of the county and is said to be the first place in the US that was developed by the Europeans. Apart from its historic significance, the most beautiful feature of this site is probably its wide stretch of sandy beach, making it special for family vacations. About an hour from Savannah and around 4hr. 30min. 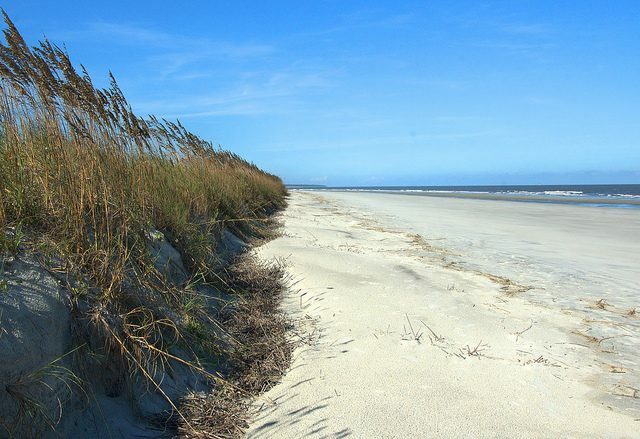 from Athens, this beach is a part of the famous Sapelo Island. 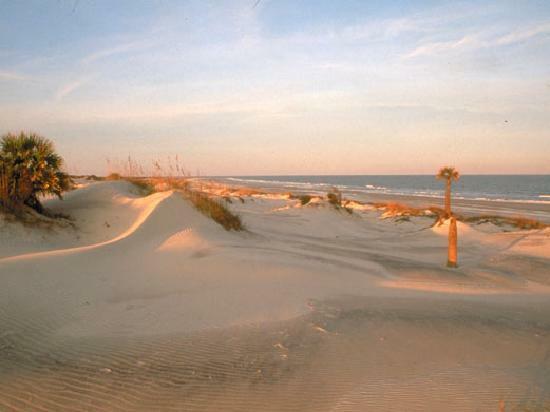 You can explore the entire area with a guided tour that will drive you through the white sandy shores. 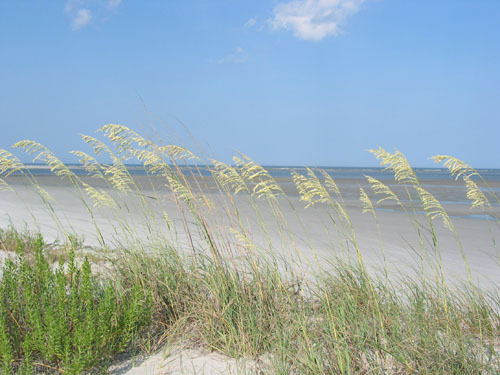 The eastern part of the beach is especially popular because of the natural sand dunes and different species of seagrasses. The area lacks any kind of tourist facilities which may seem like a drawback, but it also prevents the coastline from commercialization. Apart from that, the water here is clear, making you want to swim for hours, or go for sunbathing, bird-watching, and fishing. 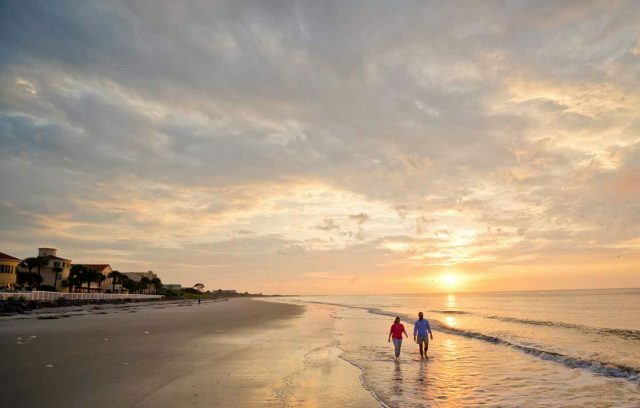 There are luxury resorts and pretty cottages in Sapelo Island that are also dog-friendly, and your pets are always allowed to stay with you there. 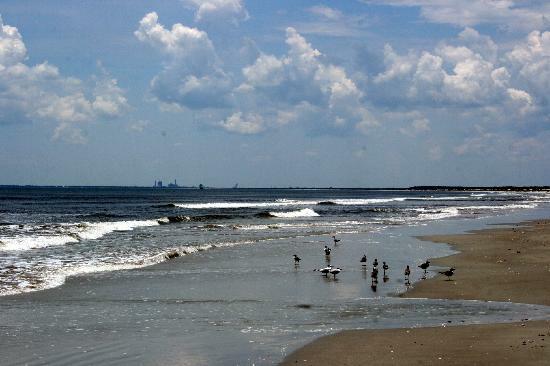 This is a free beach and relatively little known but is a really good place to spend some quality time. 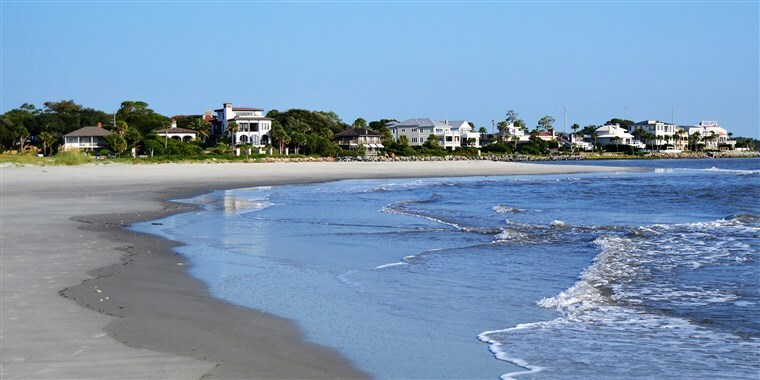 There is no car service, and only a few homes, making it the perfect beach to party privately with your buddies in summer, or on a spring break. 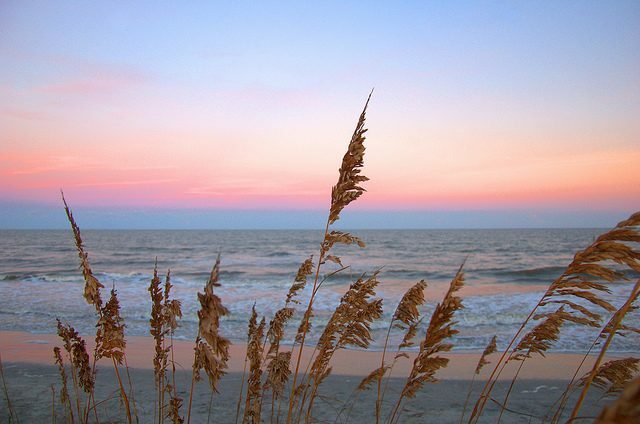 It is also a great spot for shelling with your family and kids. You can reach here via St. Marys by the local ferry service. 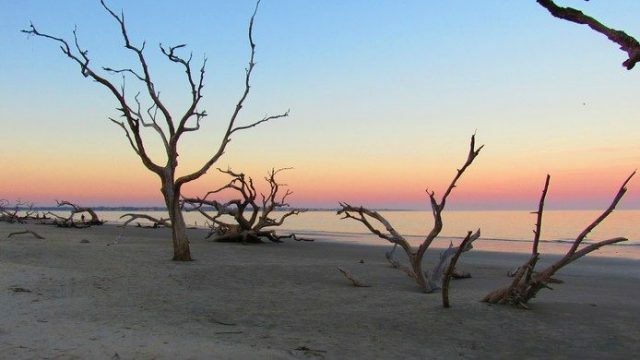 This site is located in the south of Georgia’s Jekyll Island. 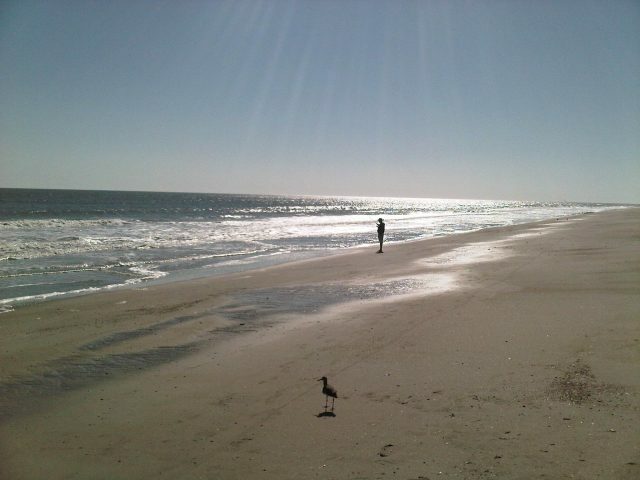 It is a long, and wide sandy beach with huge sand dunes. The place is famous for being a sanctuary for migratory birds, and hence, no dogs are allowed here. 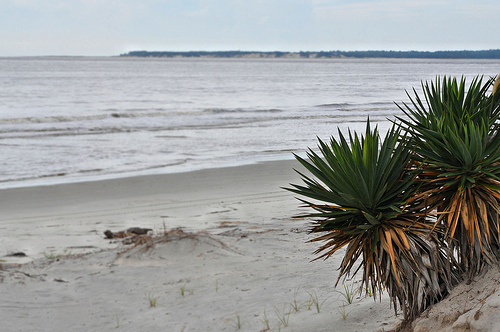 You can access the beach from the Jekyll Island Soccer Complex since it is a part of the island. 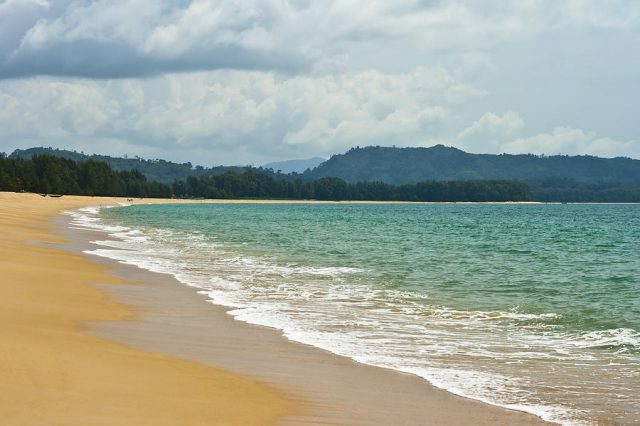 This beach has enchanting scenic beauty, being valued by photographers and for wedding parties. Here you will find a large number of dead oaks and pines, giving it a mysterious and enigmatic appearance, especially prior to sunset. In fact, this is where the beach gets its name. It stretches from the resort ‘Villas by the Sea’, the Conference Center, and the Clam Creek Picnic Area, which was once a popular picnic spot. 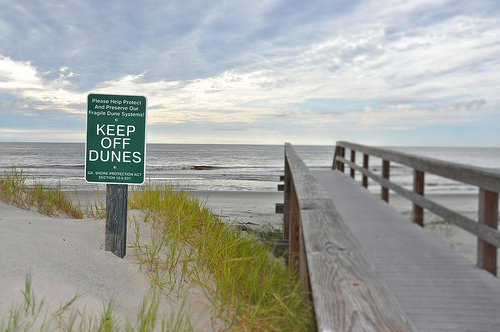 It can be nice for a day out, but swimming and other activities are not allowed here at the moment to protect the place from erosion. 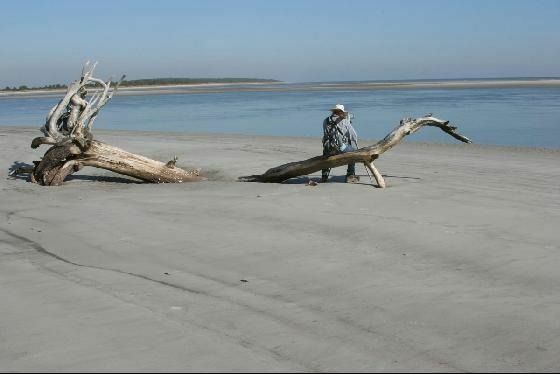 Spread along the eastern shore of Sapelo Island, it stretches till the Blackbeard Creek outflow. 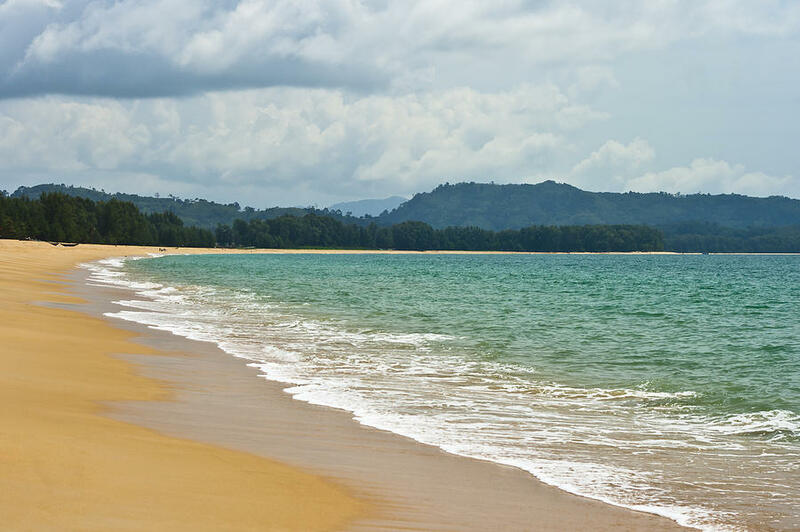 This remote beach is a favorite with people looking for some quiet, where you can sit for hours, feeling the breeze and the tranquil atmosphere. It is great for walking, running or jogging as well. There is also a small campsite with shower and toilet facilities. Local ferries are the only way to reach the place. Options are there for beach hiking, as also for kayaking through the salt marshes. 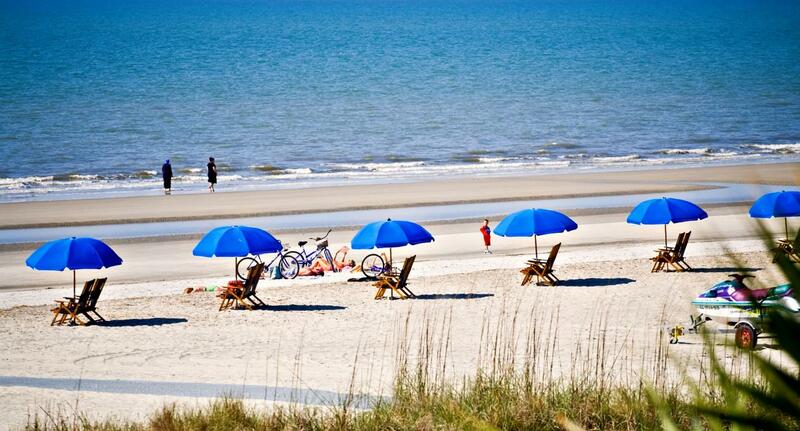 This beach is one of the most popular coastal retreats near Savannah. The island has a stretch of an amazing wide beach. 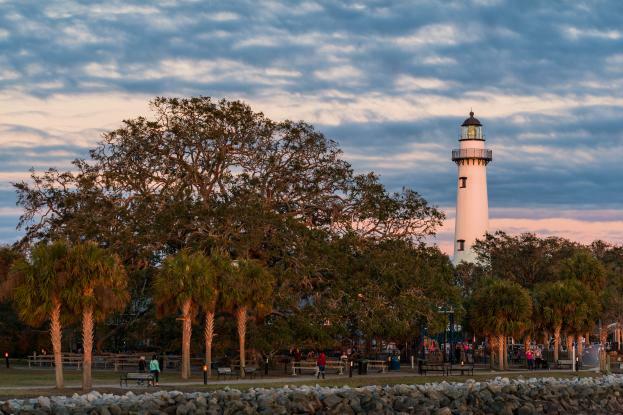 On the northern side, you will find the Fort Screven, gun batteries of the 19th century, as also, the Museum and Light Station of the island – the lighthouse of which was built in the 18th century, and is still functional. The museum tells you the local history of the island. So, why delay! Set out with your family, kids, and friends right away for the beach destination of your choice, and spend some quality time, and relax in peace, far away from the maddening crowd!